Can you believe it's the first day of August? I'm excited to share a big project reveal today! We're going in the French farmhouse style guestroom again today. This was not a planned project, but when I was contacted by a company, that I will share in a minute, my vision for a planked wall came to life. I, like so many of you, love the look of planked walls. 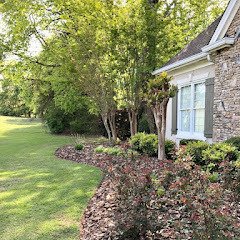 Here is the way it looked before in this recent post. I would not have been posting this room again so quickly, but I have to share this unexpected change. I want to show you a few different angles of the wall. I'm so glad I'm married to a handy man and thrilled he was on board with me to do this. Yes, I can bat my eyes at him and he will do whatever I ask.....NOT! We changed this wall on a Friday afternoon in about 2 1/2 hours. This wall changed the feeling of the room. Mr. Savvy and I have walked back up the stairs several times just to look at it again.....and he never does that. I decided to make a change while I was putting the room back together and grabbed these lidded baskets to use as a nightstand. Of course a domino effect took place in the house since moving one thing means moving several others. One of my old breadboards added to the top makes a sturdy surface for the accessories. This is a good close up of the planks. Another change I made was switching out the curtains from the plain neutral ones to these cute blue patterned ones from overstock. If you follow me on instagram I shared a sneak peek of these, but had them in the other guest room. I decided to move them to this room and I ordered some different ones for the other room. The way I found these curtains was through Emily Henderson's blog where she shared a ready made curtain round up. I knew I had to have these especially since they are very affordable and they are lined and weighted. Thanks Emily for sharing these! I replaced the lidded baskets that were at the foot of the bed with the blue bench from the sun room. See, I told you things have shifted around. The quilt Mr. Savvy's mom made many many years ago sits on the bench. It' is very tattered and torn, but that just makes it better. Here's a shot at sunset that shows the wall better. So what do you think about the planked wall? I bet you are also wondering how we installed it in 2 1/2 hours. Well, do I have a surprise for you. It isn't wood planks! Nope, it's removable, reusable, self adhesive custom canvas wallpaper from Limitless Walls. Shawn contacted me several weeks ago and asked if I would like to try out the removable wallpaper. At first I thought, wallpaper? We have removed or painted over the wallpaper we had in our home, but the word removable intrigued me so I hopped over to the site to take a look around. There are thousands of wallpapers to choose from or you can have it customized which is what I chose. I asked if we could make it look like a planked wall and after hearing yes, I was sent some samples to look at. This was much easier to install than real planks. Mr. Savvy already has experience hanging wallpaper, but it does take two to do this job. Be sure to check out Limitless Walls for all the information and how it works. You can choose just a mural for one wall or choose a print and do the whole room. This is the perfect solution for those who rent and can't paint the walls or add real planks. I would love to do a different print in the other guest room, but I'm afraid when I mentioned that to my handy man he looked at me like I had two heads. Be sure to check out Limitless Walls and browse around. If you find anything to purchase Shawn is offering my readers 10% off. Just use the code "style" when you check out. This offer is good until September 1st. I want to thank Limitless Walls for working with me to create this fun accent wall. Thanks, Stacey. Yes, it looks real to me, too. Wow!! !....Wallpaper...would never have thought...had visions of Mr. Savvy installing the planks and you painting and distressing them!...off to the site....I saw some other removable wallpaper at the High Point Market and loved it...Great item for any scenario especially for me when we are thinking of downsizing....one day....Looks awesome! Nope, no real planks, but still got the look! Wow, Kim! I thought it was real too! It looks beautiful and I love the bedding and all the changes. Those baskets are perfect! that it might have been wallpaper. Yes, that would be a bit quick for real planks. Wow! It looks so real! Those curtains are great too. Love it. It looks fabulous. I was thinking, the reason this works is because it is in the same spirit and mood as your furnishings. But when I got to where you said it was wallpaper, I was stunned! It looks real. Does it feel real--is there texture? In any case, it is beautiful enough to be worth it. Also, that breadboard is genius. The trouble with wicker baskets is that things are tippy on top of them. And the breadboard again is right in the spirit of the baskets and the room overall. Thanks, Pam, yes it does look like the real deal until you touch it. Looks Great! Changes the whole room Love it! Very cool and interesting.....I went to the site...it's actually printed on fabric! Now, see I might just need that in my craft room where my quilting happens....hey, more fabric! Thanks for sharing. Yes, fabric or canvas. Mine is canvas and it sort of feels like vinyl. Kim, I am so in love with the picture above the bed. Where did you get that? I thought so, but I couldn't find it. Guess it's no longer available. Bummer. Thanks Kim. I absolutely love the breadboard on top of the baskets!! Oh you had me quite fooled ! It looks so real. This is fantatstic and never would have thought that was wallpapers. O was wondering how you got this done so quickly. 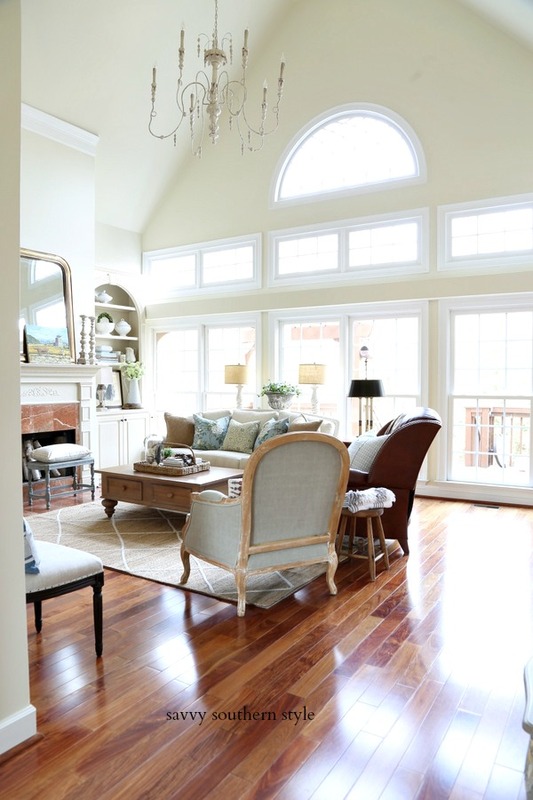 Love the wing chair, where is that from? No Way...Wow! Love the new look! Yes, I have seen that Pinky. So glad with the new technology that they can create wallpaper that looks so real. I was so surprised when you said it was wallpaper! Kim, when I think your rooms can't get any better you change them up/add to and prove me wrong. I love the whole room! Where did the bed come from? What color are the walls? I am a renter and I absolutely love it! My favorite color is also blue! I love the lime green car picture. Did I mention another of my favorite colors! I really love your room! Thank you. Glad the room is filled with your favorite colors! Totally makes the room! Love it! Gorgeous, Kim! I so wanted to Pin, but couldn't get a Pin It button to come up. Wow that was a big surprise to find it out it's wallpaper! Looks really great! I just came from your sister's blog. Too funny that you both are sharing planked walls today. The whole room looks fantastic. The guests at your home are very fortunate! I love the planked wallpaper. It looks REAL! Absolutely gorgeous. I've been looking for wallpaper like this. Your room is beautiful. It looks amazing and who knew-removable wall paper could look so good! Oh, Kim! I adore this room. 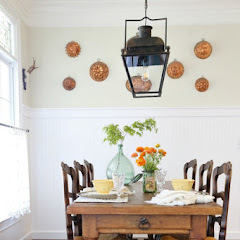 What gorgeous farmhouse style! This wall looks totally real! You have done an amazing job on your guest room. I would love to do a wall or two here at StoneGable! You are so inspirational! Love the look and how much the wall paper looks like planks. I was so exited until I visited the website and did the calculations... it would cost (even with your discount) over 700.00$ to do one wall in my guest room. Bummer! Sorry about that, but it is removable and reusable unlike real wood and a good option for renters. Love it Kim!! I need some of this wallpaper in my life :)! Who knew a wallpaper could look like wood walls? That's a great product! 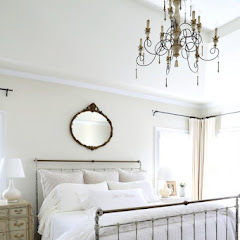 I love how it adds farmhouse charm to your guest room. Yep my first guess was it was wallpaper, they have so many magnificent designs now. I often wonder where all these talented people come from. I live with planked walls everyday, and sometimes I long for something different! Your hubby did a terrific job! Oh Kim I am stunned this is removable wallpaper. It looks so awesome. What a wonderful change this made to your pretty guest room. Love love love this. I am going to check this out. I want to do something to the high walls I have going up my stairs now you have me thinking this might be great. Looks great Kim! I'll have to take a look at their website! Wow Kim...it looks wonderful! Love this room and the sunset pic is gorgeous! Well that sure was a surprise. Never expected it to be wallpaper, but it looks great. Love it Kim, and it looks like the real deal. Normally I wouldn't suggest wallpaper is a good faux look, but yours looks great. 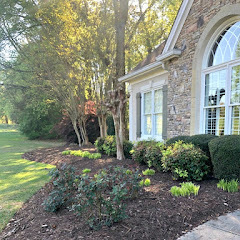 It's a great way to get the look with minimal time, expense, and structural commitment. Eventually, we are all going to roll our eyes at shiplap..."Gah, that's so 2015!" I feel sorry for the people who have to pry all those boards off 5-8 years from now. You are going to feel smart when you just have to peel it off one small wall. 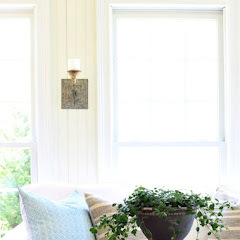 did you remove your crown molding? If you have crown molding would you have to remove it? We don't have crown molding, but no you would not remove it. You would cut the paper under it. What a great way to give a room a quick change. The "planks" look so good in this room. Also love the stacked baskets for a side table. Kim, this would have made the perfect April Fool's joke, if it were April 1. You fooled all of us, seriously! After spending hours, weeks, months, whatever to remove every bit of wallpaper in our last house, I said NO MORE! But seeing this and knowing it's removable and reusable, I just might get the planked walls I want in the guest room and bath. Totally Awesome! Your room is absolutely gorgeous Kim!!! What??? Wallpaper? Yowza girl it looks fabulous,it looks like the real deal! I bet you're loving your new look. I'd never want to leave that beautiful room. Seriously it looks like it came right out of a magazine! Incredible. You have taken this room to a whole new level. So mag worthy! The room looks sensational Kim!! Bravo on gorgeous decorating and high-fives to Mr Savvy for helping with that killer planked wall project. I love it! You did a great job!! This looks incredible Kim. I may want to give this a try! 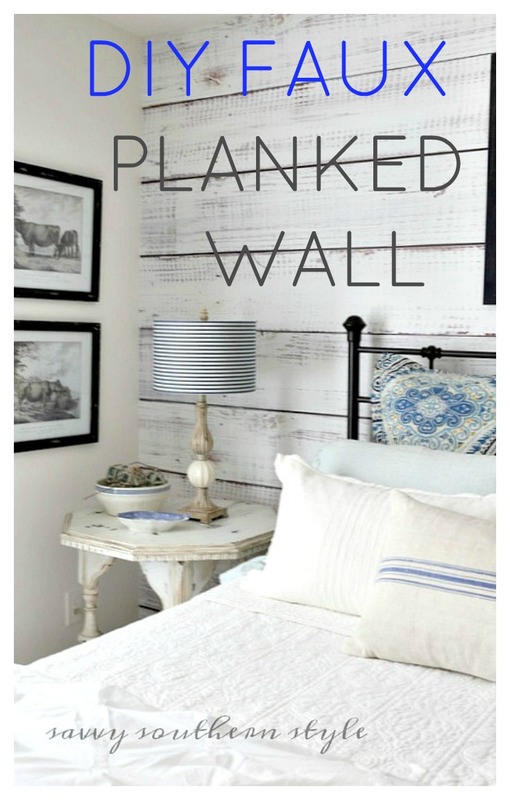 The "plank" wall gives the room a very relaxed country feel that I just love. The curtains, the lamp, everything gives the room a very welcoming atmosphere. Pam I have an extra foam topper on this mattress so the mattress is not has high as it looks. 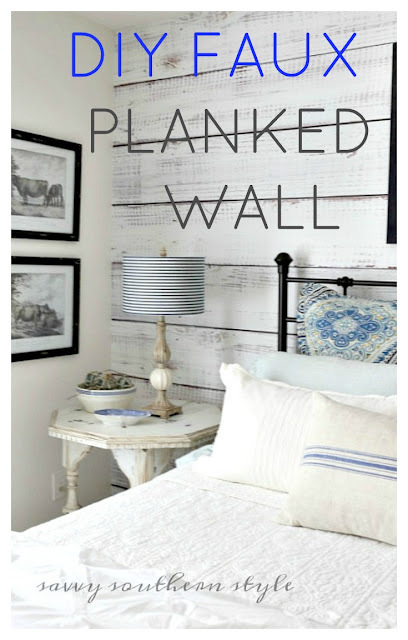 I don't know how I missed this, but love your planked (wallpaper) wall! Love how wide the planks are! It really does change the look of the room! I love it!